One of the basic tools of quality control is the Pareto principle. When it comes to apply it within the organization, you need to find out the root causes of each problem through different Root Cause Analysis (RCA) methods like the “5-Whys” or the “Fish-Bone Diagram”. Start with identifying customers problems continually by an advanced system that customizes feedback for organizations units, then you need a real-time reporting tool to enable you to see which problems are most repeated as shown in the below chart no.(1). From here, the importance of listening to your customers and managing their feedback appears, you need to apply the science of solving customers problems (solve 20% from the organization problems to satisfy 80% from the organization customers). 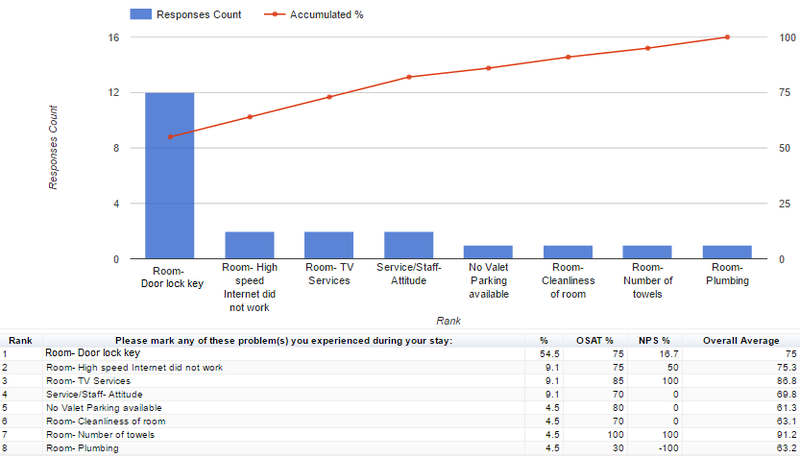 The question is: Do I have in my company a system which measures our customer problem experience or not? Sondos Market Research (SMR) presents a customized Customer Experience Measurement and Management system (CEMMS)to define, measure, analyze, improve and control the root causes of the problem experience, and link the symptoms with the defect and the opportunity to occur from each main process. Sondos platform has proved its ability to assist companies in solving their customers’ problems and increasing their satisfaction and happiness to stay around and ask for more. 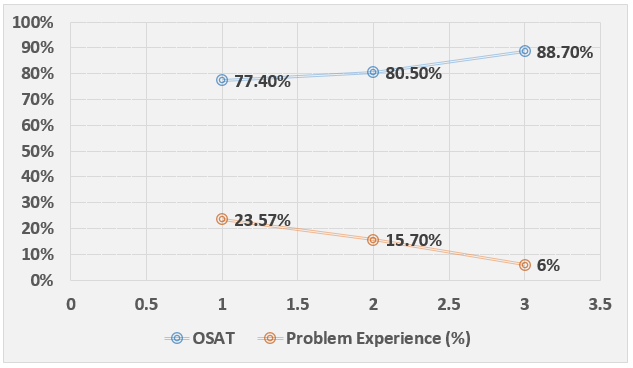 The below charts (2.1 & 2.2) show one of Sondos success stories in assisting organizations to increase the power of problem resolution almost three times, and improve their customers’ satisfaction to more than 88% without any other improving factors. Also the below chart (3) indicates how the organization with implementing Sondos CEMMS succeeded to decrease the problem experience by 25% and to increase the overall satisfaction from 77.40% to 88.7%. Identify the problems that your customers may experience in any moment of truth, and link these problems with the departments/units processes, people, product or service. Measure and analyze your customers’ problem experience to see the most repeated problems which have the biggest impact on your customers’ satisfaction. Take these most repeated problems and analyze them to find out the root causes of each. Suggest a solution to improve the internal operation processes linked with the problems and proceed with it. Measure again your customers’ problem experience to control the improvement.